There are many, many myths and misconceptions about acne. Some people believe that chocolate can give you acne, whilst others think that if you don’t wash your face often enough, you’ll develop acne. Neither myths are true and there is no scientific evidence to back up either claim. Read on to learn about some of the common myths about acne and whether they’re fact or fiction. There’s a belief that dirt = acne. Although that is true to an extent – acne can be caused by pores that are blocked with excess sebum or bacteria – if you wash your face too frequently your skin will actually be stripped of essential oils. This decrease in essential oils and sebum will actually make your skin more prone to acne, as there will be nothing to protect your skin and breakouts might actually increase in frequency. A tan might temporarily get rid of acne, but that doesn’t mean that regularly going out into the sun without any SPF protection or regularly using sunbeds is the way to go to reduce acne. Regularly tanning with no protection will not only drastically increase your risk of sun-related cancers in the future but will also dry out your skin, leaving you more prone to breakouts. Look for sun lotions that have “nonacnegenic” written on the label – they won’t clog pores and will help to keep skin clear. There is absolutely zero evidence to suggest a direct link between eating chocolate or greasy foods and acne breakouts. What might be to blame is the face that if you regularly eat junk foods, you’ll be neglecting your body in terms of the nutrients that it needs in order to function properly. Chances are, if you’re snacking on burgers instead of fresh fruits and veggies, your skin will suffer not because you’re eating the wrong foods but because you’re not eating the right foods. Minimize your risk of acne breakouts by eating a varied, balanced diet. Many people also believe that wearing makeup actually causes acne. Wearing makeup and makeup alone does not cause acne and it does not clog pores, as long as you take it off before you go to bed and try not to cake your face in heavy products. 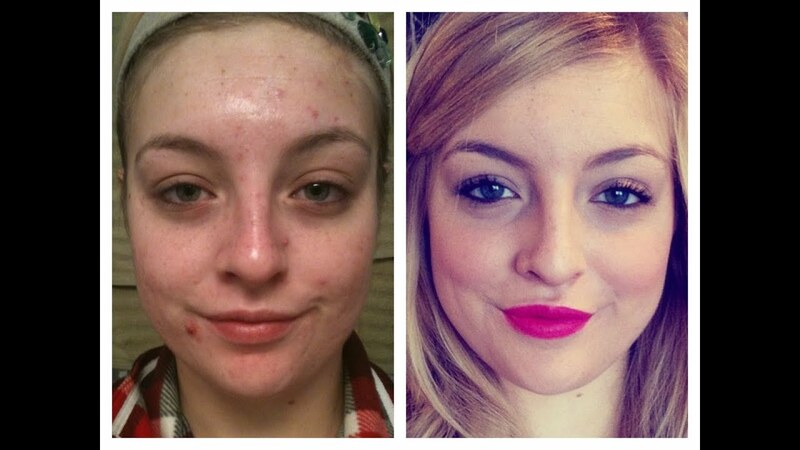 What can cause acne is actually the way that you apply your makeup. For example, if you use your fingers to pat concealer or foundation onto your skin, you’ll be spreading bacteria around your face – or, if you use brushes or sponges and don’t wash them often enough you’ll still end up spreading bacteria around. Choose light, breathable makeup and use a fresh sponge each day – or, just try to avoid touching your face unnecessarily. If you keep getting acne breakouts despite taking medication it can be very tempting to just take a little more medication – after all, more medication = less acne, right? Wrong – more medication could actually dry your skin out. As we discussed before, the drier your skin, the more likely it is that you’ll end up having regular acne breakouts as the natural oils present in the surface of your skin will no longer be there, meaning that your skin has no protection. Never use more medication than your doctor recommends – not only could it cause further acne breakouts but it could even cause medical problems. Popping zits might get rid of them just for a little while, but long term, popping zits will just make your acne worse. Popping zits forces the oils and bacterias from the zit further into the dermis (middle layer of skin) and can spread the bacteria over the surface, too, resulting in more pimples. For more advice about fighting acne, take a look at our blog posts.